The Tokyo tourism market is rapidly growing, with Japan now at the fourth most visited country in the world, falling behind Spain, the United States, and France (The Travel & Tourism Competitiveness Report 2017, The World Economic Forum). It’s With international visitors amounting to 24 million in 2016, the new target from the government is set for 40 million by 2020. Urban infrastructure projects are being implemented by the Tokyo Metropolitan Government, National Government, and other related organizations. Overseas operators and developers are very watchful of the trends in the Japan market, and have shown great interest in the future of Japan’s hotel sector. 2017 Hotel Investment Conference Asia Pacific included two of their four awards going to Japan related transactions- Four Seasons Kyoto (Japan) winning Reggie Shiu Development of the Year, and Hyatt Regency Osaka (Japan) named Single Asset Transaction of the Year. As the number of opportunities for overseas investors and operators to come in are limited, it is important to be watchful of the approach you take. We can separate the overseas operators looking to enter the Japan market into two categories- those with presence in Japan, and those with no presence. Hotel operators with exposure in the Japan market have an advantage when trying to enter the market. This is due to the fact that their brand will have established its credibility and it has proven its synergy with the local market. For these operators, it is best to leverage their business record in Japan as well as their corporate credit, as it can be used as an advantage when developers are looking to get financing from Japanese banks for projects. On the other hand, hotel brands that have no exposure in the Japan market will have more difficulty making their mark. On top of educating the Japanese population on the brands establishment overseas, it is important to express the unique qualities of their brand. From the Japanese markets perspective, hotel operators will be be classified by their target markets and levels of service. It is important to further separate your company from the other hotels within your general classifications and the options already available in Japan. To understand this, staying up to date on the topics and trends in the market is necessary. This can be said for international investors as well. Operators should show Japanese developers what they can bring to the table from an economic, political, new trends, and business perspective. Each brand has their own strategies that make the most economical sense for their company. There are several economical structures that overseas operators have been using overseas but are still not considered to be the norm in Japan. Operators can introduce these concepts to Japan along with their brand concept as a way to increase chances of being selected. Management Contracts: In Japan, lease contracts are still the favored as developers as they do not want to take risk on rents. On the other hand, overseas players show that management contracts can play a win-win as operators are paid out based on fixed rent and the added incentives. By showing the returns and the economical benefits for both parties for a management contract, there is a higher chance of securing a contract that you prefer. Sustainability: On top of sustainability being a corporate value, from a financial perspective it can offer a win-win opportunity. Expressing these new concepts to the Japan market is a great way to set yourself apart from the other luxury brands. Branded Residences: To offset the costs of luxury developments, overseas developers have been using branded residence structuring as a way to offset building costs. Furthermore, luxury brands that are not traditionally known for hospitality- such as fashion brands or automobile brands have been partnering with operators as well as buyers recognize the added value these brands hold. The combined value of the Brand, the operator, and the residential components have made economical sense in overseas markets, and can be an interesting concept to introduce to Japan as well. Integrated Resorts: While the negotiations for the passing of the bill for integrated resorts is still underway, there is already a lot of discussion around the sites location as well as the opportunities that will come if the bill passes. Hotel operators should keep an eye out on the bill as when the site is decided, the IR developments will open up new opportunities for further hotel developments. Although the first IR projects will most likely emerge in or near major cities such as Tokyo and Osaka, more developments in regional cities may continue if there proves to be demand. This will open up opportunities for a number of new development sites for hotel operators as IR attract a new group of travellers. Medical Tourism: With the increase in foreign visitors, the number of tourists coming for medical treatments is also increasing. In 2015, Japan issued 946 visas for medical stays, which is about 50% increase from the year earlier according to the Foreign Affairs Ministry. Top three tourists ranked at 48.1% of Tourists are Chinese, 12.2% South Korean, and 10.7% Russian based on METI estimates. In January this year, ANA Holdings announced its plans to make medical tourism packages that arrange for flights and hotel stays near hospitals. Night Economy: While Japan overflows with ways to keep tourists entertained during the day, in comparison to cities in the US and Europe, its night life falls short. The demand for night entertainment, which includes- musicals, live music, dance, club culture, and so forth is growingly evident. The government is actively promoting the night economy movement in efforts to revitalize the economy. In 2011, 1.2% of Japan’s GDP came from Cultural Resources. Japan would like to increase this figure to 3%, which would be comparable to France and Canada’s figures. Tsukasa Akimoto, Deputy Minister of the Ministry of Land, Infrastructure, Transport and Tourism (MLIT) told Nikkei News that “It has long been said that Japan has a shortage of facilities for nightlife events, but it’s now possible to create a healthy market for them.” The government has set up a study group to raise the nightlife economy, as well as resolve problems including traffic, infrastructure, overtime restrictions, and the safety of young persons. As a hotel operator, it could be worth noting how you can help promote night tourism. The new Moxy Hotel in Kinshicho is an example of a recent hotel development that is promoting the nightlife tourism. Promotion of Local Cities: Japan METI is working to explore undiscovered regional resources and revitalize local communities by attracting overseas tourists. For resort hotel operators, this is an opportunity for you to show Japan how you can make your resort an experience that blends with the local area to promote its culture. We can see hotel operators looking past the standard Tokyo, Osaka, Kyoto options, and being open to resort destinations. An example of International brands expanding to resort destinations can be Amanemu in Mie 2016, and Intercontinental Hotel Group opening a luxury hotel resort in Beppu 2019. Luxury: While in comparison to its neighboring Asian cities Tokyo’s average ADR may be performing well, “Average ADRs in New York and Paris are almost 50% higher than the average of Tokyo in US$ terms. As Japan evolves as an advanced tourism nation and attracts more wealthy travellers, the market for high-end hotels should expand and the average rate should increase.” (Savills 2017). If your brand can show the kind of services and facilities offered that bring higher ADR, it can open up doors to a new standard for luxury in Japan. Experience: An increasing global popularity for more than a place to rest their heads and cookie cutter hotel services, but for an experience. Tourists, especially millennials aree looking for cultural experiences and opportunities to connet locally. This is a great trend for Japan, who is eager to share its rich culture and history with tourists. An example of an increasingly popular concept is the “shukubo” or temple lodging. Mt. Koya welcomed 56,000 international visitors at its 52 sites in 2016. This is three times more than in 2013 according to Koyasan Shukubo Temple Lodging Association. Hotel operators that can incorporate Japanese culture, wellness, and mindful wellbeing into their concept can capitalize on this trend in the market. Japanese companies are not looking for a one time opportunity with overseas players but prefer a long term alignment. Operators with a long term goal in Japan for further expansions, or groups that can bring a different set of brands into Japan with the same Japanese partner will be favored. It is key to show your commitment to both the market as well as to the partner. Example of this can be seen in the joint venture partnerships Marriott has made with Prince Hotels for The Prince Sakura Tower Autograph Collection, and The Prince Gallery Kioicho The Luxury Collection. Furthermore, Marriott has also collaborated with Mori Trust. JW Marriott and Mori Trust have also announced a JV, and the two companies have plans to build five hotels in Japan under the Marriott brand. The deal is part of a large hotel renovation plan that Mori announced last October and includes investment of approximately JPY16 billion (Hotel Management). 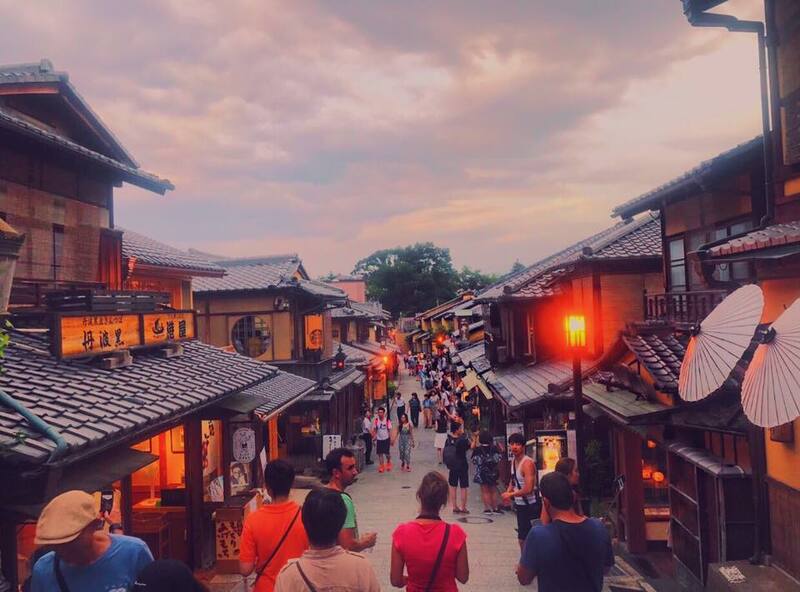 Asterisk is seeing business potential for overseas players in Japanese tourism market, we provide unique strategic solutions with fulfilling above factors including economical and political concepts for international investors and hotel operators.